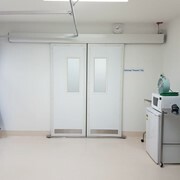 The Coldshield 3000 Series Door is the original PVC door that continues to show its inherent strength in large doorways and heavy duty applications. This strength is largely attributed to the fully welded aluminium door stiles and gussets. The frame is attractively powdercoated for protection and looks. Although 7mm thick Duraflex PVC panels are extremely durable, points of constant impact caused by continual trolley and forklift traffic can cause scratching and gouging. Double sided Impact Bands increase panel thickness and life, by protecting the panel at the wear points. The panel thickness will be increased by almost 90% when double sided 3mm Impact Bands are used. 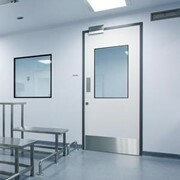 Every situation is unique, that is why we individualize each and every PVC door we manufacture. Impact Bands range from 2-4mm thick and from 200-1200mm wide. 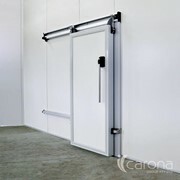 In heavy duty applications or where fork trucks with high masts are using the doorway extra PVC panel strength can be gained through the use of Support Loops. These loops are bonded tightly to both sides of the door panel wrapping around the door stile. 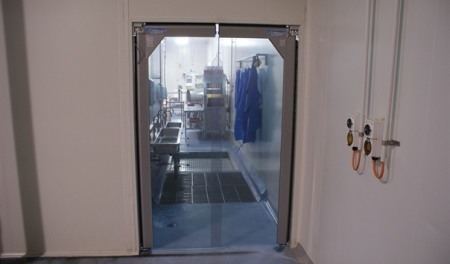 This minimizes panel fatigue on the outer extremities of the door. 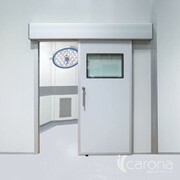 In times of increased doorway traffic such as night fill, assist your staff by including Hold Open Magnets on your swing doors. 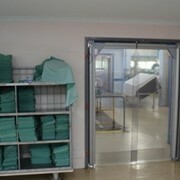 This will allow the doors to be simply held open at 90 degrees for uninterrupted access. 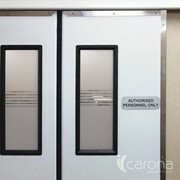 Enhance your image, boost traffic awareness - have your message laminated into the panel of your PVC door. 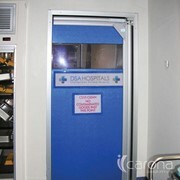 Our unique process of Laminated Signage will remain readable for the life of the door panel. It cannot be removed or damaged. Compare this to an unprotected sticker or a paper sign attached to the door. We stock a selection of standard wording and pictograms for your OH&S requirements or for access restriction awareness. Custom made signage is available. 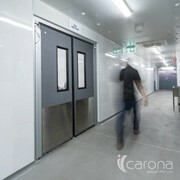 Features such as Texaflex and Opaque finishes offers a range of privacy levels to suit each individual application. 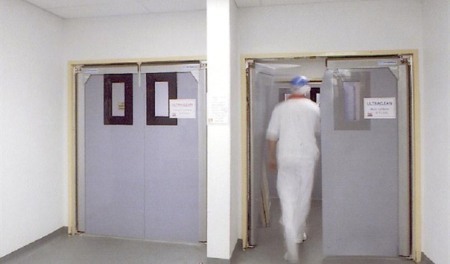 Privacy finishes to retail traffic doors deters customers from entering your stock or prep rooms whilst limiting visibility to these areas. 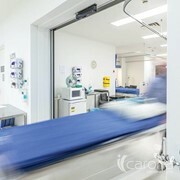 We know hospitals often demand an easy to clean finish with minimal vision where patient privacy is paramount. 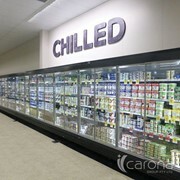 Coldshield has extensive expertise in these areas. Texaflex PVC material is a solid colour throughout the door material thickness. The surface is finished with a light texture and has an easy to clean gloss finish, making this scratch resistant for trolley use. 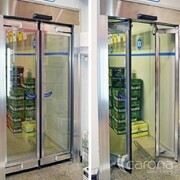 Texaflex is the ultimate in privacy finishes. Available in Black, Blue, Green, Grey and Red. A unique finish which allows minimum vision while providing a scratch resistant surface, making it an easy to clean panel while still allowing light to penetrate through the panels. Opaquing is a finish that is applied to one side of the PVC door panel. This finish creates a partial block out that still allows a small amount of vision through the door panel. 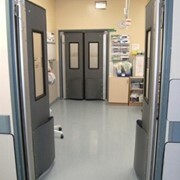 Opaque finish can be applied at any height of the door panel. Combine the opaque finish with Texaflex to create a unique door panel design.